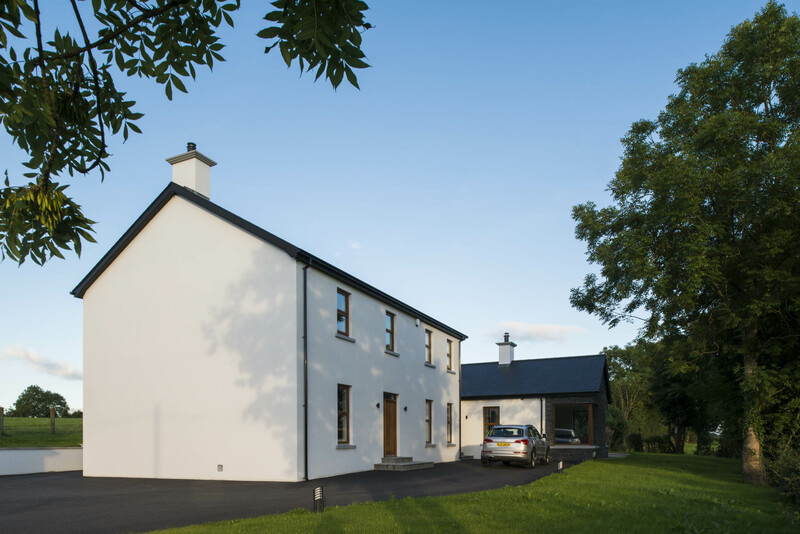 This contemporary interpretation of a traditional farmhouse rests comfortably in the countryside just outside the Mid Ulster Village of Castledawson. Our clients where a young couple who wanted a spacious, versatile and functional house with an open plan living and kitchen hub. 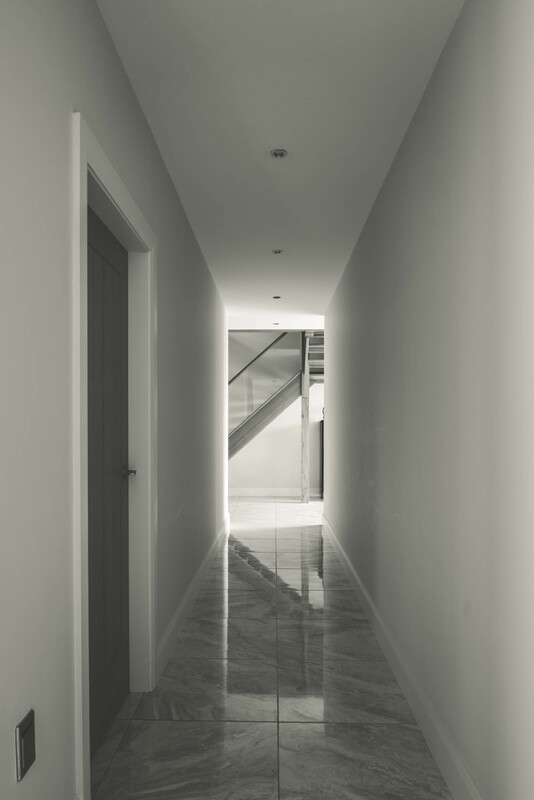 In designing this house we made use of the existing foundations on the site with some modification. We then designed a change of house type from that already approved on the site. This incorporated a 2 storey main body to the house containing 4 bedrooms, study, lounge and playroom. Attached to this is a single storey kitchen, dining, living space with larder and utility off. 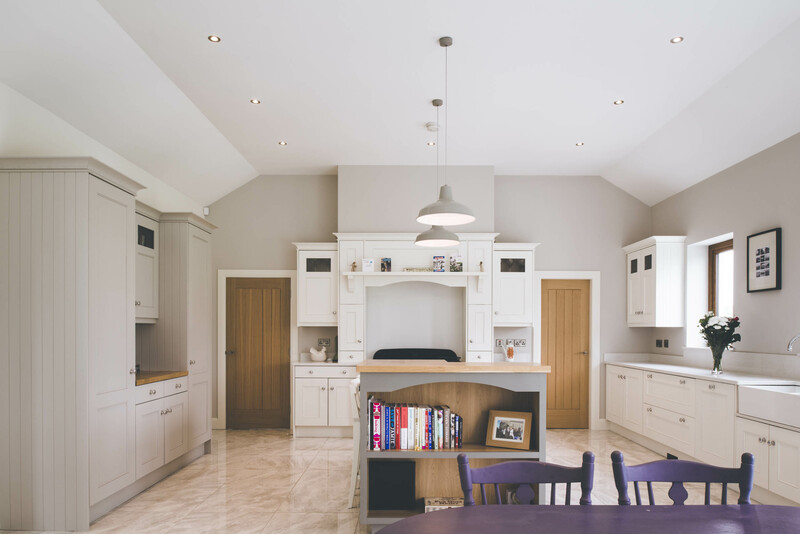 The kitchen is of a clean traditional shaker style with French doors to the outside from the dining area. 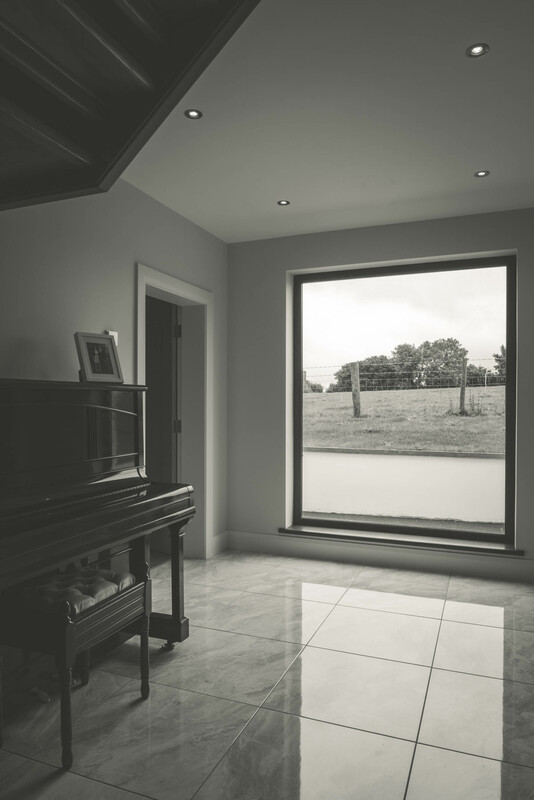 The living spaces within the house are fitted with direct air intake, wood burning stoves. 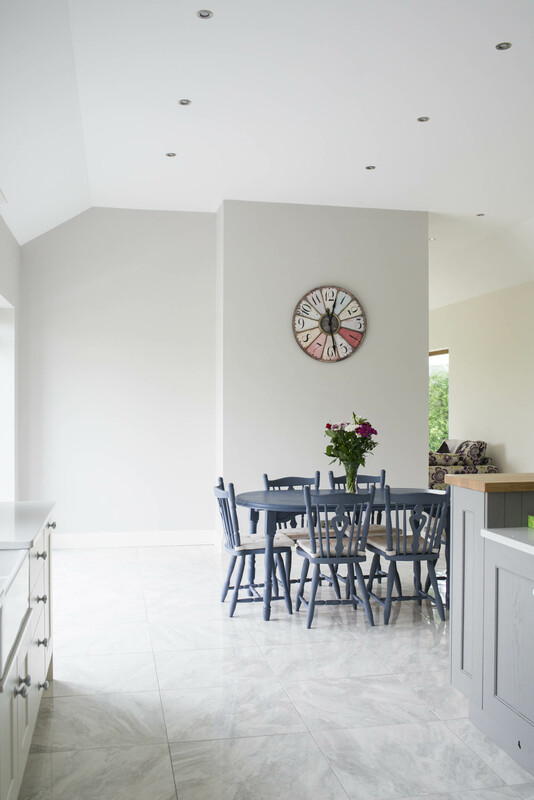 The finishes throughout are clean and stylish with tiled and wooden floors and muted painted walls in classic colours. 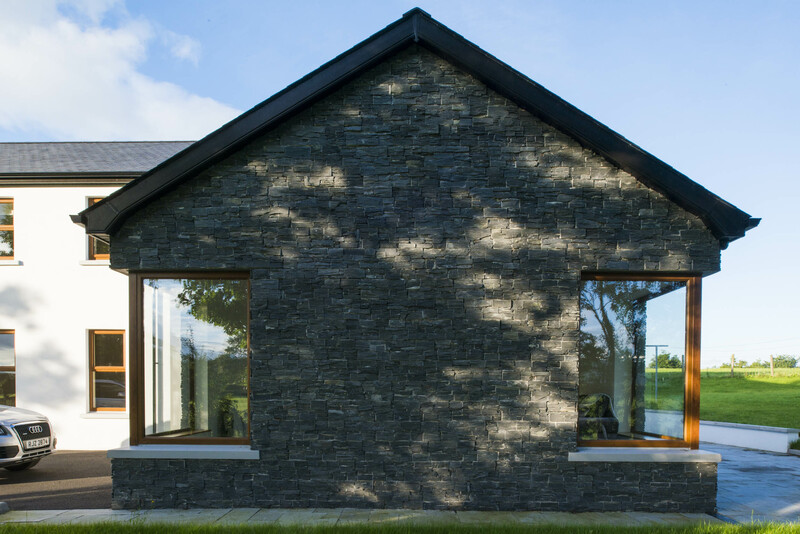 The outside of the house makes use of a render canvas to highlight stone accented walls and traditional fenestration and doors. 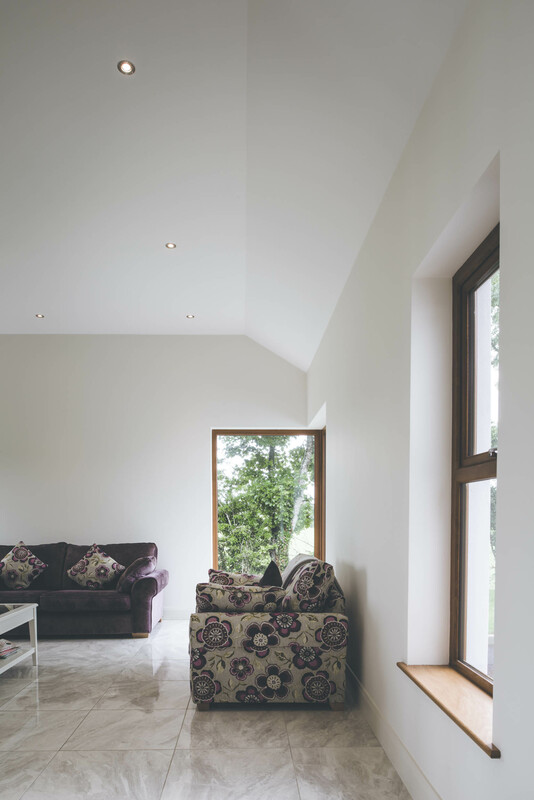 Corner windows make use of the views and the overall courtyard appearance is completed by the garage. The house makes use of both solar panels and photovoltaic panels to generate both hot water and electricity.